The right of individual self-determination and happiness. You know the whole life, liberty, and the pursuit of happiness thing. Funny how we’re still working on that one. This isn’t an uniquely American thing, but it is, or should be, an intrinsic one. And yet, as I write this, a number of States are trying to pass so called “Religious Freedom” laws in backlash to the progress of marriage equity. I find it fascinating that so many folk get their knickers in a knot over others wanting the basic right to be themselves. The basic right to be happy. We need to be aware that as minorities in a culture get more power there is an institutional push back to the change. A lot of this is due to the loss of the privilege high-status groups enjoy. As things change, assumptions about social roles and norms are questioned and an uncomfortable spotlight can be shined on social privilege. I think we need to take the Backlash phenomenon seriously. The LGBT community is a true minority community. In that a small percent of humans are homosexual or experience a disconnect from their perceived gender and how they really feel. (I’d concede that the human animal is probably largely bisexual, but in modern times the heterosexist-heteronormativity thing just skews the hell out of sexual expression.) Until things radically change, we are vulnerable. I’ve always found pre-WWII Berlin an excellent cautionary tale. 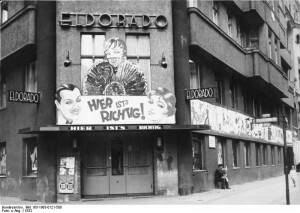 Out and proud gay and lesbian life reached an unprecedented richness and freedom in pre-war Berlin. Homosexuals became one of the scapegoats and targets for German Nationalism and everything went away. It was nearly a century before our people gained that level of freedom again. We will always be the minority, our rights and safety will always be at the pleasure of the majority. Laws will only protect us when they are enforced. We have laws baring discrimination based on race in this country but only a fool would believe racism has ended. We step back and think about the society we want to live in. We think about what it means to be a whole person. An individual is the intersection of sexuality, gender expression, their ethnicity, the economic status and so many other characteristics. We have to asked ourselves, do we want to live in a society where we are valued as whole persons? Do we want to live in a society where everyone is given the opportunity to excel and develop to their full potential? Do we want to live in a culture where we are judged by the content of our character and not our various characteristics? This means that as a white gay male, I need to be aware of the struggles for others. I need to confront sexism, racism and other issues of social justice too. Identity and identity politics are important but if we stop there, it becomes divisive. Just as we need to integrate all of our individual characteristics to be a whole person, I think we need a holistic approach to our communities and our activism. The whole community needs to be included and engaged. We, being writers involved in this blog hop and looking at how our writing can be an agent of change. I think we tell stories that matter. I think we have characters that are multi-dimensional. Characters that are more than pretty young well hung white boys out for a screw or HEA endings. We struggle with race, gender expression and identity. 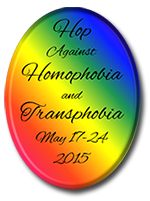 We face not just homophobia, but the underlying heterosexism in our society. We shine the light on heterosexual, cisgender, racial, and economic privilege. We take the chance that for just a moment we make our readers think. We push them just a bit. I know that’s a risk. We don’t want to turn them off or away because we all want to make a buck. I really want to make a buck. But isn’t that the right thing to do? And isn’t the right thing to do always a little risky? We are writers. We have the power of the pen; the power of ideas at our finger tips. We have been given a great gift. Should we not use it for good? Should we not transform the world? Check out the other blogs in this hop! And remember to comment to enter the giveaway. Next Next post: “The Bear, the Witch and the Web” is LIVE!